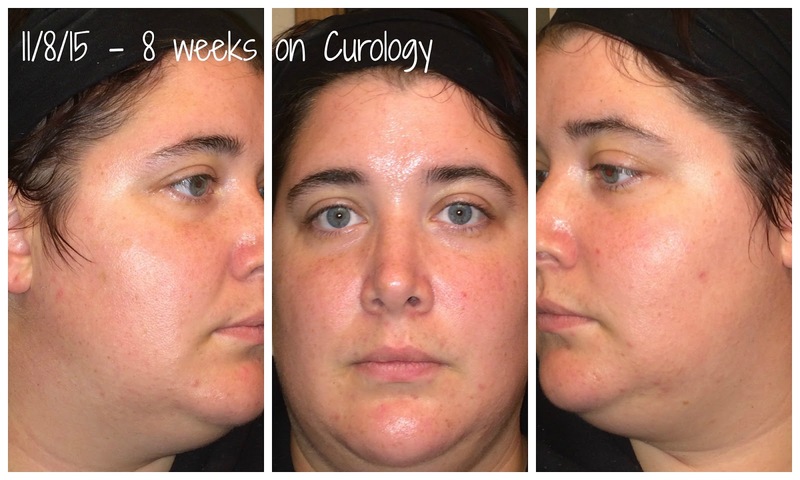 This week marks my eighth week of using Curology on my face as a daily step in my evening skincare routine. I initially signed up with Curology to help cure my acne, but starting this week I am receiving a new prescription, which will probably open up some further changes with my skin. I'll go into details about that further in this post. Due to it's success and growth, Pocketderm has renamed itself as of 9/30/2015 to Curology to represent it's caring, curing, and healing it provides for its' patients. Curology is a tele-dermatology site that allows you to receive a prescription topical cream with three active ingredients to help you with your skin. You simply submit photos of your skin when you sign up, along with any additional information you think your dermatologist should know (and yes, the people helping you really are doctors!) and they review your photos and info to diagnosis your skin issues. Curology will curate a personalized cream for you with three out of the six active ingredients they have to offer for just $19.95 per month. You will automatically receive a new shipment of your prescription every 3 months, but if you need one sooner, you can request one from your provider. Your monthly fee for Curology not only covers your prescription, but also unlimited consultations with your provider. If you sign up using my referral link, you will receive your first month completely free! 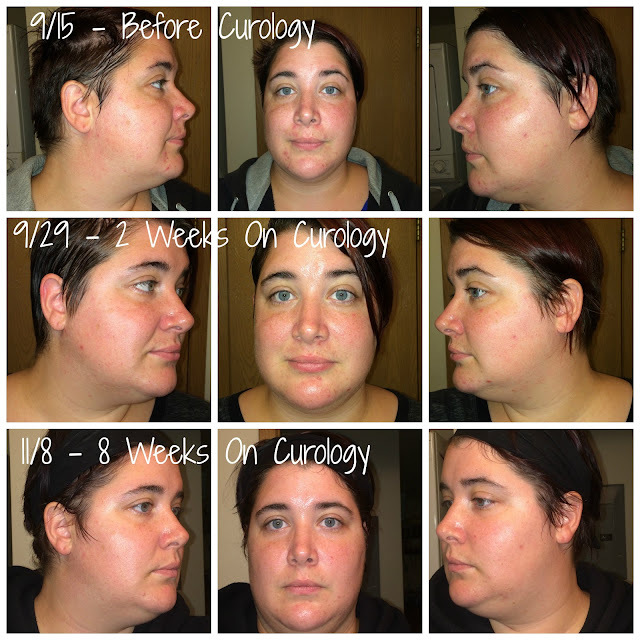 When I first started using Curology on 9/15 I started noticing a difference after just three days of use - you can see my first initial results in my first Curology post. Right now, my acne is mostly clear. Instead of having new cystic acne forming on a daily basis, I only get a few cysts around my "time of the month" and they are not nearly as bad as they used to be. My skin is brighter, my PIH (post-inflammatory hyper-pigmentation) is nearly gone, and with the exception of some stubborn purging from my prescription along my jawline, I don't have any real acne to speak of. Because my complexion has improved so much, my dermatologist at Curology has altered my prescription. I previously was applying 4% Niacinamide, 1% Clindamycin, & 4% Azeliac Acid. My new prescription will be 1% Clindamycin, 8% Azeliac Acid, & 0.009% Tretonoin. I have been warned that with the addition of Tret, my skin may get dry and flaky, and I may experience further purging because it is a stronger prescription. I am hoping that it will help the stubborn purging along my jawline finish coming to a head and finally clear up completely, and possibly even prevent my cystic acne that pops up at my TOM. We shall see! I'll be sure to update once I start using my new prescription and let you know how the Tret is working for me!